Discover Croatia’s wild side as we focus on its secluded natural treasures. Few places rival the Dalmatian Coast for sea kayaking—with more than 1,100 islands and reefs, it's perfect for a paddling idyll. And the scenery is the best in the Mediterranean, with rocky headlands, aquamarine bays and red-roofed stone villages that cascade to the sea. We sail aboard a private wooden yacht, our base for launching our kayaks at a new destination each day, navigating intimate coves and exploring ashore on foot. Split and the towns of ancient Dalmatia are a highlight, too—with cultural and architectural treasures as impressive as the rugged landscape. 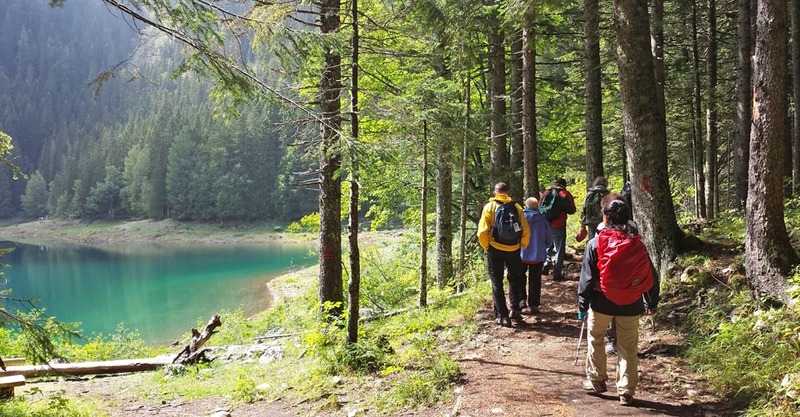 And there’s much more for nature lovers that lies inland: this unique adventure also explores Croatia's mountains, forests and wetland nature reserves, plus Plitvice Lakes National Park, one of the most beautiful World Heritage Sites on Earth. Croatia has become a popular European travel destination, famed for its idyllic Mediterranean climate and historic towns. Some places in Croatia, like Dubrovnik, are getting downright crowded, with multiple daily visits from large cruise ships. But we show active travelers a more secluded slice of Croatia that highlights its gorgeous natural settings. Read on to learn more! Croatia is rich in history and culture, and that heritage draws plenty of visitors. But our main focus is Croatia's natural side, from pine-studded islands scattered in the teal Adriatic Sea to the terraced turquoise pools of Plitvice Lakes National Park, wild marshes filled with hundreds of bird species and dense forests that evoke what much of Europe looked like centuries ago. While we don't skip special cultural highlights, our aim is to immerse you in Croatia's most beautiful natural settings. Travel with Just 12 Guests...and TWO Expedition Leaders! Our small group size allows the opportunity to explore more remote locales and stay in traditional places that bus-based tour groups and passengers aboard big cruise ships don't have access to. With fewer people, you get a much more peaceful experience—essential to rewarding nature travel. And, with two guides for just 12 guests, we can divide the group for different activities and ensure exceptional attention in every context. Each day we are aboard the boat, we have an opportunity to discover another island by kayak, usually going ashore after a paddling stint for a walk through scrubland, orchards and villages, and often with a chance to swim, too. These Adriatic waters are impossibly clear, and the visibility from your kayak seat is exhilarating. There will generally be other opportunities to explore on foot, too, if you opt not to kayak a given portion. Our guests don’t tend to choose our nature adventures primarily for the food, although it’s generally excellent. On this adventure, however, dining is a hallmark! From fresh seafood caught hours earlier to olive oil produced on Dalmatia's islands and a renaissance in ancient winemaking, Croatia's culinary scene is most definitely a highlight. Our itinerary includes three very different World Heritage Sites of global distinction. Diocletian's opulent 4th-century marble palace in Split is one of the world's best preserved Roman ruins. The Stari Grad Plain is a farming colony that has remained virtually intact since it was first colonized by the Greeks in the 4th century B.C. And Plitvice Lakes National Park holds world-class status for its incomparable natural beauty. We're known for the quality of our guides, and you'll find that the leadership on this trip is no exception! 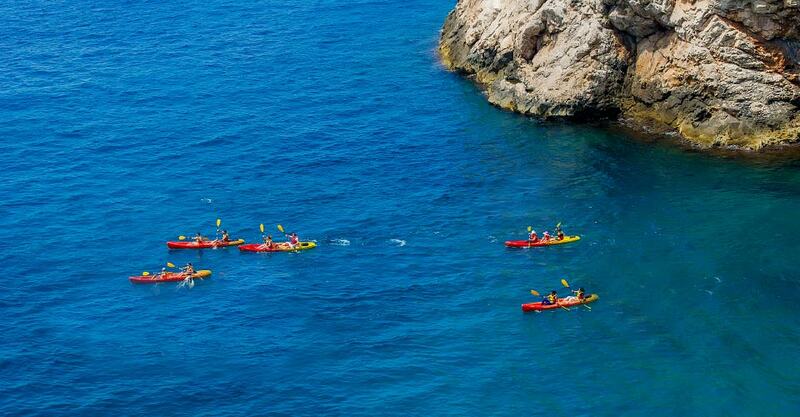 From expert kayak guiding and instruction to a deep knowledge Croatia's diverse ecosystems, your Expedition Leaders enhance your adventure in a way that makes you feel safe, cared for and enlightened. Read our Expedition Leader bios and traveler comments regarding the quality of our leaders. With Natural Habitat Adventures, you get our exclusive guarantee, promising that we will meet the lofty expectations set in our promotional materials. To our knowledge, this is the most impressive guarantee made by any adventure travel company. Read our important promise for yourself! We all care about the planet, and you can travel knowing that the emissions from your trip are 100-percent carbon-offset—Natural Habitat Adventures is the world’s first carbon-neutral travel company. And we continue to set the bar higher in sustainable travel practices worldwide. Those passionate for genuine adventure won't find a more exhilarating thrill than exploring Antarctica by private motorsailer! Kayak and camp, too. Fill out the form below to receive additional information about our Wild Croatia by Land & Sea. Hi Nat Hab, I’m interested in your Wild Croatia by Land & Sea. Can you please contact me with more information?